This little membership card is framed in my home office. 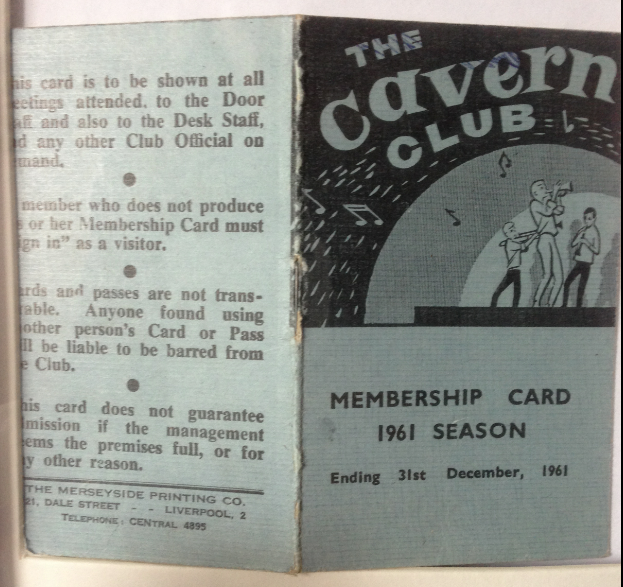 I had been a member for a few years. Beatles and all the 'beat groups' used to play there. All were warm up acts for the Jazz bands at the top of the bill. Tomorrow in 1961 was my first date with Mrs Beautiful-to-be. in my little grey Morris Minor van. as we were kissing all the time at the back. You can tell is wasn't a lasting relationship! Next week we will have been married for 51 years.